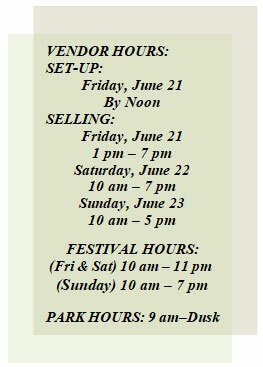 FOSM encourages the public to park at and visit Serpent Mound before joining the festival. Vendors, speakers, and volunteers should enter Soaring Eagle Retreat from Horner Chapel Rd. This is a festival to share new and ancient knowledge, stories, and crafts! There are many theories, stories, knowledge, and unknowns with Serpent Mound. The Friends of Serpent Mound started this festival as a way for the public to share and learn about the many facets of Serpent Mound. Our speakers vary from locals, historians, Indigenous Americans, Scientists, Spiritualist, and more. 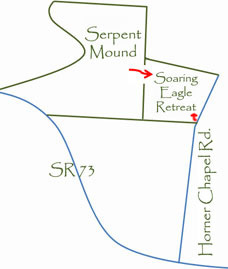 The focus is Serpent Mound and the surrounding area. The local history, the uniqueness, the wildlife, and its ecology. We have some local musicians, historians, artisans, and naturalist that will be helping us make this another great festival! We have also changed up the late night activities. The Open Drumming is only from 9 PM to 11 PM on Friday Night and an Open Jam Session will be held in the main tent Saturday Night, 9 PM to 11 PM. Registration deadline June 1, 2019. Spaces fill up quickly and there will be no unregistered vendors admitted during the event! We are offering primitive camping this year, if you want a full service camping facility then check with the sites below.